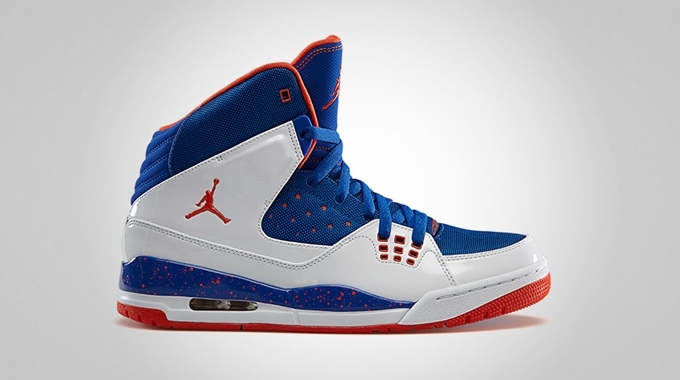 Aside from the “Los Angeles Clippers” edition, the Jordan SC-1 will also hit the market in a specialized “New York Knicks” colorway. This performance basketball kick is expected to hit the market anytime before the 2013 NBA Playoffs kicks off in White/Team Orange – Game Royal or simply a combination of the team colors of the Knicks. Although he has his own signature shoe, this kick could be worn by Knicks star Carmelo Anthony, who is one of the superstar models of Jordan Brand. Retail price is set at just $120 so make sure to consider getting your own pair as soon as possible.